How to back up text messages from your Android device. Whatever your reasons for wanting to backup or transfer messages from your Android phone, we've got you covered. In this article we'll cover how to backup text messages to Windows PC or laptop, export WhatsApp messages, and even trasnfer messages from Android to Android. Transfer Call Logs and Calendars - FREE. Copy 100 Music and Photo items from Android to PC - FREE. Copy the first 5 messages of any conversation to your PC - FREE. Browse Android Contacts and Files - FREE. Purchase a Droid Transfer license to remove the restrictions. For this method we are using the PC software 'Droid Transfer' as well as the accompanying Transfer Companion app. Droid Transfer can copy messages from your Android to computer, but can also manage and transfer other data like music, photos and contacts! Launch Droid Transfer on your PC. Open Transfer Companion on your Android phone and connect via USB or Wi-Fi. Click the Messages header in Droid Transfer and select a message conversation. Choose to Save PDF, Save HTML, Save Text or Print. The great thing about Droid Transfer is that you can save all message conversations at once, as well as one at a time. 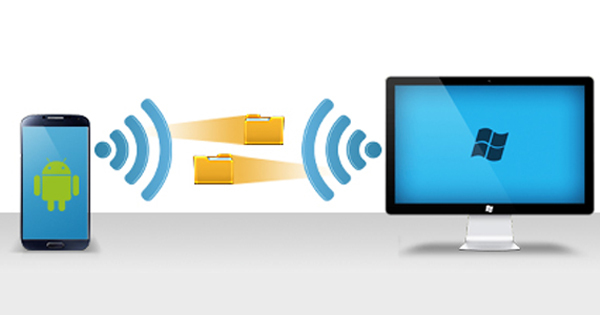 Droid Transfer ensures that all media like photos and videos are copied along with your messages. Check out our full guide: How to save Android messages to computer. Although Droid Transfer can access and copy your SMS and MMS messages, it cannot access WhatsApp Messages. 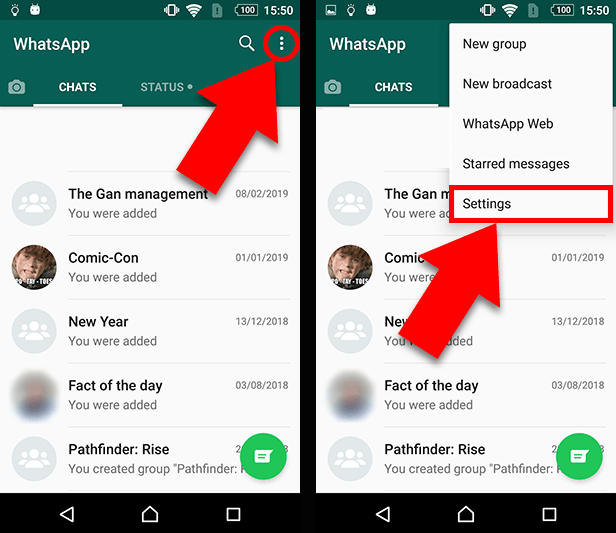 If you want to export WhatsApp messages and conversations to your computer, another device, or even send to another person, you can do so directly from the WhatsApp app on your Android phone. Tap "Chats" from the list of settings. Tap Chat History > Export Chat. Choose a chat to export. Select how you'd like to save your chat to complete the export. 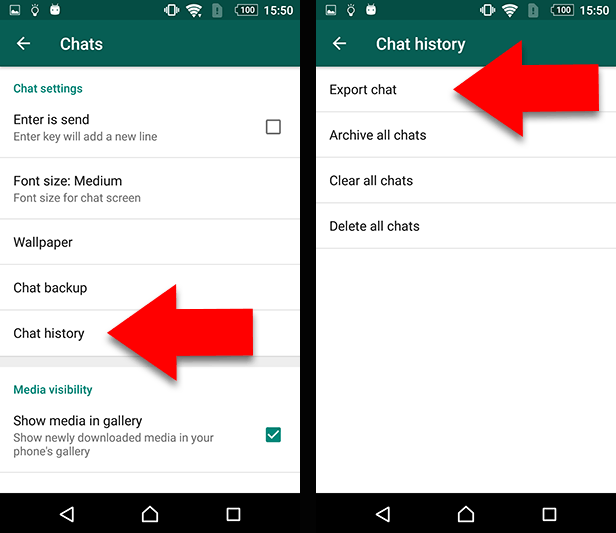 When exporting a WhatsApp chat, you have a plethora of options including saving to Google Drive, Dropbox and OneDrive, or sending the chat via email, Gmail or text message. Tap "Account" to select or add your Google Drive account. Check "Include Videos" if you would like to export them too. 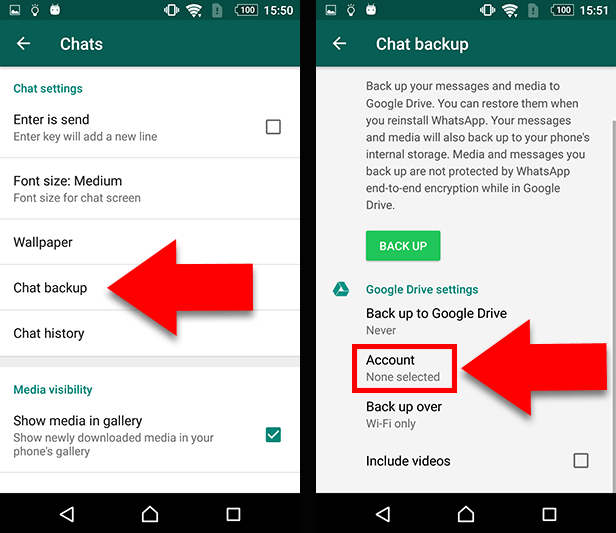 Tap "Back Up" to backup your WhatsApp conversations and media to Google Drive. Backing up your messages in this way enables you to restore your WhatsApp messages to your phone if anything should happen to it. You can even use the backup to restore your messages and media to another phone! Oh! See that smooth lead into this method there? 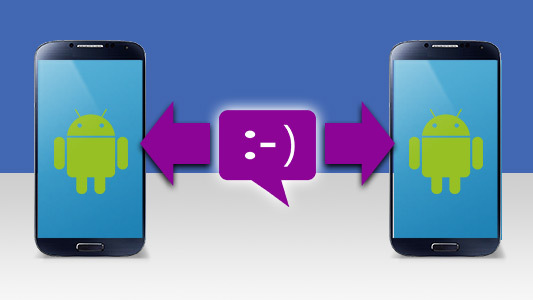 That's right, it's possible to transfer your messages from one Android to another. 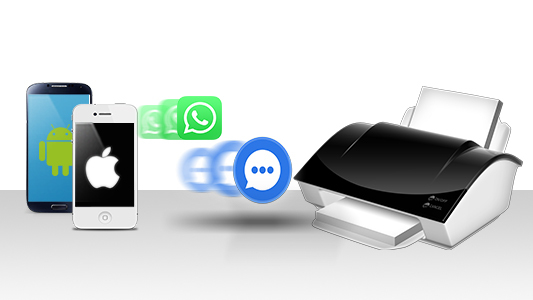 Transfer SMS and MMS to a new Android device, restore your WhatsApp backup to another device and more! Backup your Android messages, sync music with iTunes and more! Backup Android messages and more with or without Wi-Fi.